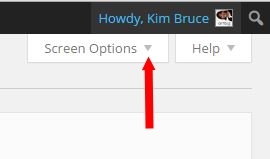 There’s a little known button concealed in the screen options menu that will allow you to have your links open in a new browser window. Standard web practice is NOT to have links open in new windows as it is thought that in the end there would be to many windows open which will inconvenience the user. 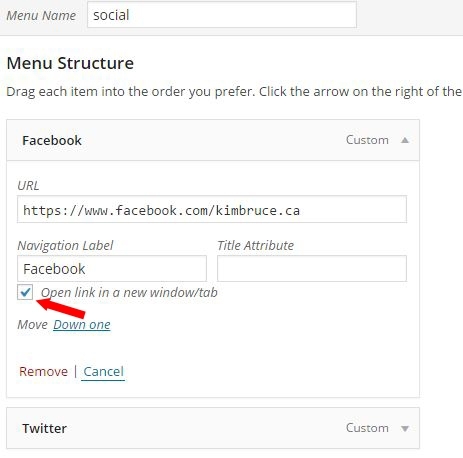 It’s acceptable to have some external links, like social media open in new windows. Also links to documents like PDF’s is good practice to open in a new window. So where is this mysterious function? 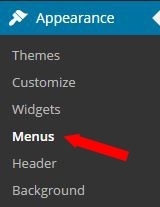 Start by navigating to Appearance > Menus in the admin menu of your WordPress site. It’s always easy when you know where things are.